Sequence successfully completed the FINRA 1017 process to underwrite Direct, Direct Pooled & Regional Center EB-5 transactions. The owners of Sequence, W. Michael Grady (General Securities Principal) and William E. (Gene) King have been owners and operators in the registered securities industry for a number of years with many more years of experience owning their own businesses that is valuable in understanding the companies that are selected for foreign investors. 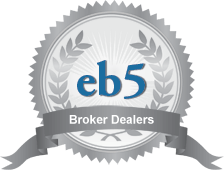 Sequence possesses an established back office and securities compliance team, which is key to efficiently processing transactions, facilitating investor intake and registering and supervising InvestAmerica’s EB-5 team of brokers/finders. Could benefit from another groups experience and expertise in EB-5 Programs – especially one that had a history of completed EB-5 projects. Accordingly, Sequence began looking for a firm to partner with to add an EB-5 platform to their growing business, recognizing the growth of the niche area and understanding the potential to be one of the guiding forces in assisting the EB-5 industry into compliance with U.S. securities laws. The combined expertise & experience of InvestAmerica & Sequence allows the partnership to offer a comprehensive suite of EB-5 Securities Placement & Compliance Services for Regional Centers. InvestAmerica and Sequence have similar business philosophies where the clients and prospective investors come first and both understand the importance of maintaining a professional atmosphere with a reputation of integrity. The combined resources, experience and networks of InvestAmerica and Sequence will better serve Regional Centers, EB-5 Project Owners and Investors.